Blog | Really? Easy App Localization? Congratulations. When your app has more than two languages you are in a select group of developers. Roughly 65% of apps are single language, another 15% have two (typically English and the native language of the developer). Three or more languages means you have a localization strategy, it also means you’ve gone through the pain of localization; taking and managing app screen shots in all the languages, coordinating string exports and imports from translators, screen by screen reviews looking for strings too long for their display location, wondering if your translations are going to embarrass you, etc. El Loco takes away most of these localization hassles. We fit between you and your translators, making the localization process insanely easy. 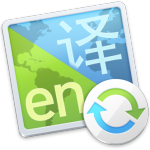 Without El Loco, the typical localization has two, three, sometimes four round trips between the developer and each translator because the translator cannot see or edit the app in context. With El Loco tools, your translators can translate correctly the first time. With existing localizations, you probably won’t need it, but our Mac OS X tool analyzes your code to make sure everything is consistent for localization, and corrects inconsistencies for you if you wish. It also finds all your un-localized strings and presents them to you in a list. You can quickly choose to localize them or not. It is not uncommon for our tool to find a source file with strings to be localized that were previously missed. Next is the fun part. Without El Loco there is the hassle of: taking screen shots, exporting strings, trying to answer translator questions, importing strings, reviewing every screen in every language to find text overruns, and repeat until everything is correct. El Loco simplifies all those tasks making it actually fun to deal with translators. As you develop your app and run it in the Simulator, we extract all the screen definitions and the strings. We display the strings that have not yet appeared on a screen so that you can hunt them down so that translators will be able to see where they are used. Then upload your screens and strings to our servers. Instead of static screen shots, we recreate your app in HTML. Translators page through the screens in their web browser, gain an understanding of the context behind the translation, edit in the app screens, and immediately see if a translation fits. If after seeing the strings in context, there is still uncertainty as to how to translate something, each string has an ElLocoTalk messaging button next to it. The translator can ask clarifying questions tied directly to the specific string on the specific screen. The developer quickly answers translator questions by seeing the question with the string/screen. Every translator working on the app then has access to the clarifying information. With all of this, one translation round trip is typically all that is necessary for a full and complete translation of all the languages your app supports. Once a translation is complete, import it back into your app and it’s ready to upload to the AppStore, or you can keep working on it. Our system tracks changes to your source strings and screens. Translate your app before it is code complete and then every so often get a quick update of the strings you’ve changed. When you are code complete, your app will already be translated. No more rushing to get translations after you are code complete.